EUV, IEO and Slupsk municipality staff visit the city’s high-tech incubator. After the trip to Czech Republic, Prof Lowitzsch called on the SCORE partners in the city of Słupsk, Poland, to visit the potential project sites there. The first location was the municipal sewage and waste company Wodociagi. Wodociagi was recently certified as “bio-energy cluster” and therefore implements various RE projects that result from the connection of (public) waste, energy, transport and sewage management. The planned CSOP would involve the municipality, the local energy supplier, local SMEs as well as individual consumers, and – given the diversity of the parties involved – it would be the most complex of the planned projects in Słupsk. 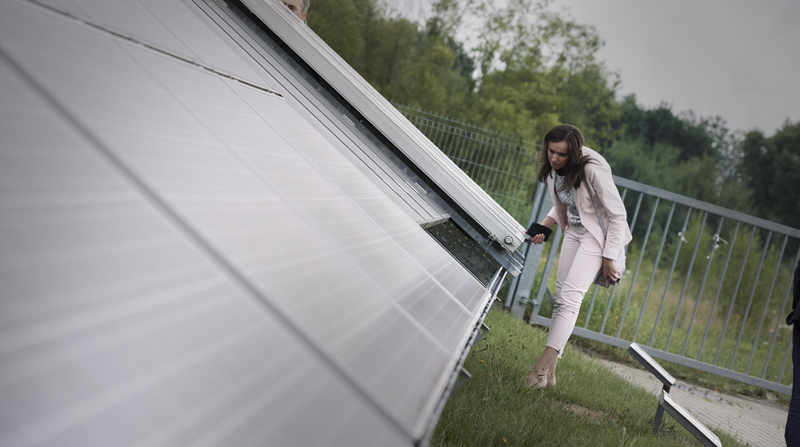 Aneta Wiecka (IEO) inspects PV panels in Slupsk. Furthermore, the SCORE-team visited a municipal high-tech incubator as an example for already existing PV installations and wind turbines in the city of Słupsk. During a subsequent tour of the City, multi-apartment blocks mostly owned by the municipal housing corporation and potentially suitable for RE installations were pointed out. Further possible project sites that were identified during the visit in Słupsk are a social housing complex owned by the municipality as well as a school building. 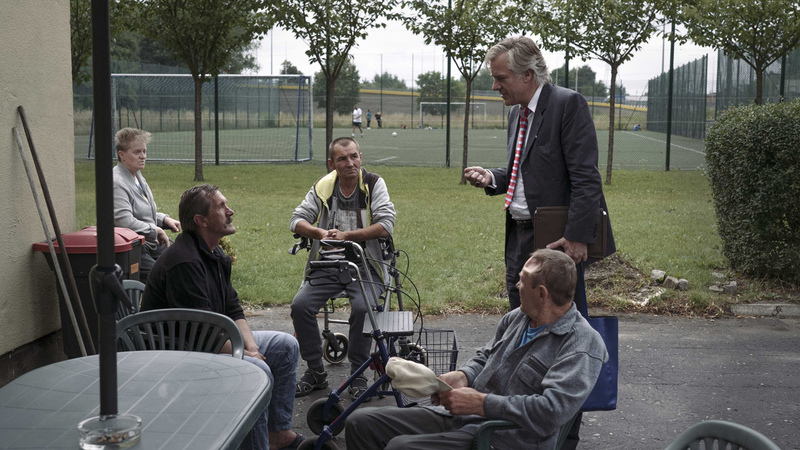 Prof Jens Lowitzsch (EUV) visits the Brother Albert homeless shelter. The third and final visit of a potential project location was the St. Albert homeless shelter. This shelter is owned by the city of Słupsk and managed by the charitable organization Holy Brother Albert. Currently, the management is planning to increase the shelter’s capacity up to 70 inhabitants. 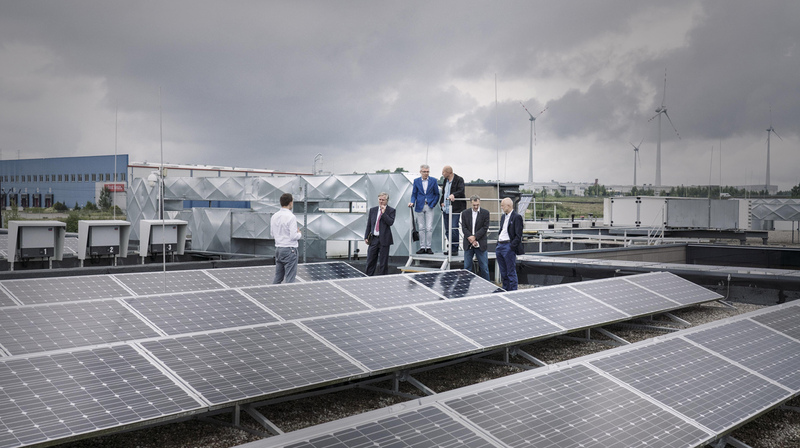 The project idea for this site is to involve the residents in an RE project in cooperation with IKEA: The Swedish furniture company donates a PV facility with a capacity of 10 KWp to be installed on the roof of the shelter building. The residents of the homeless shelter will then have the opportunity to acquire 25% of the PV-facility.